With just two weeks to go until the seventh installment of one of SA’s best inner city festivals, CTEMF announce its full lineup for the event on April 6th to 8th at the new venue, Atlantic Film Studios in Montague Gardens, Cape Town. Having released its headliners, including Job Jobse, ARTBAT and Deetron, in the last two months, the festival wraps up the already impressive three day experience with a host of stellar local acts. Included in the full roster is Soulistic Music’s Enoo Napa, NTSC’s DJ Guy & Slow Motion City, ATOM’s Mikey & Schumi and young prodigy Pierre Johnson, as well as many more top-quality acts. 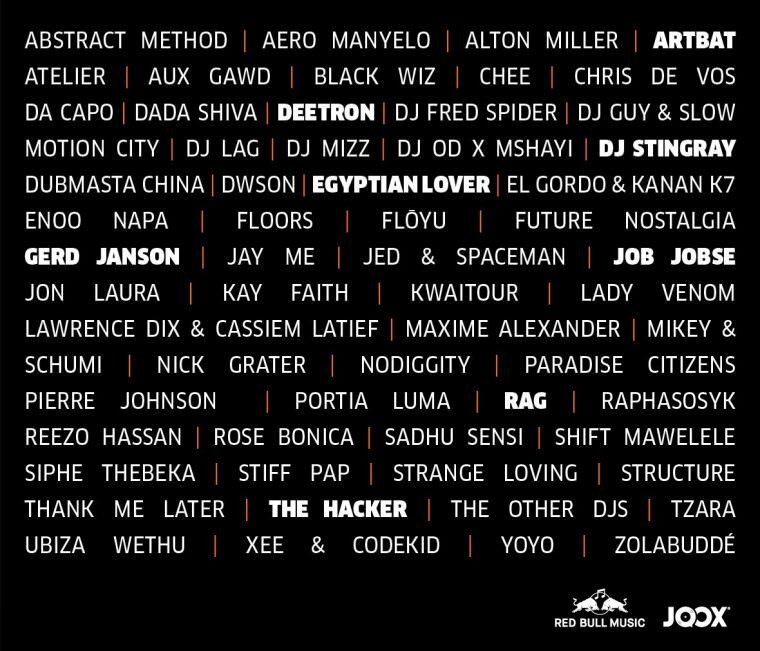 The intuitive lineup speaks measures of CTEMF’s awareness of local dance music, and topped with international headliners from a variety of genres and musical periods, CTEMF 2018 have delivered an exciting entertainment bill that will make the festival at the new venue one to remember for years to come. Tickets for CTEMF 2018 available here. All roads lead to Eden this weekend! The Brazilian headliners arrive in Cape Town next week. We chat with Eden co-founder Dane Stirrat ahead of the festival next weekend.